Why should I choose Room To Dance? Because we care about your event’s success, your guests, and Great Music! Our years of experience and professionalism will bring you Peace Of Mind in the planning of your event, and the satisfaction of giving your guests Entertainment instead of just music. What is the difference in hiring a professional band? Well, Professionalism. Not just Weekend Warriors, our Full-Time Focus is on our music and providing Great Service for our clients. We invest Time & Effort (and a great deal of Money too), in our business. We know that you are investing the same in your event, and we share the same dedication to making it a success! Can Room To Dance provide the variety of music that a DJ can? Yes, and No. We can entertain your guests with a Great Variety of Oldies, Classic Rock, Disco, Hard Rock, Country Party and Country Classics…But, sorry, Hip Hop, Alternative and Techno Stuff are not in our repertoire! Honestly, we specialize in entertaining a broad age-range of audiences…but we know our limits! Do you travel for performances? Yes, we do! While we are based out of the Okanagan area, one of the things we love the most about our music is that it takes us to many great places to meet a lot of great people! You name the place, we’ll be there! Who are some of your most important clients? And… Do you have references? All of our clients are important! We have testimonials from many of our clients; and you can even contact them directly with questions regarding our Professionalism, Service and Talents! Contact us to request a list of references…(250) 863-9122 or by email. Can you provide recorded music during the Social Hour and Dinner and during your breaks? Absolutely! We have the equipment necessary, and a great selection of recorded music that is appropriate for the times during your event that do not require live music. We even have a remote control so we, (or your EmCee) can Play or Pause the music as needed! Do you have a microphone we can use at our event for speeches and announcements? Yes! We have a great wireless microphone for your Emcee and speeches. We are also available to make announcements for you if you do not have an EmCee, (or you’re just a little shy!). Will the band be well dressed and well behaved on stage? Of course! We are always appropriately attired for each event (ie. Dressy, Formal, Western, etc…)…and Dressed For Success! Further, we believe that good Band/Crowd interaction doesn’t require foul language and vulgarity. Once again, we’re professionals! Do I have to rent special equipment for Room To Dance to use in the performance? No, we provide the Sound Equipment and Lighting necessary and appropriate for the event and venue. For some events where Production and a Technician is supplied by our client, details are worked out prior to the event. Are there any other things I have to provide for Room To Dance? Based on the needs of the event, our clients might need to provide Accommodation, Meals, a Stage/Riser, or a Tent/Shelter for outdoor events. When you call us, we can discuss your event and determine your needs and our requirements. Can you perform our “First Songs” for our wedding? In many cases, yes! We have a selection of great options to choose from in our repertoire, and given advance notice, we can often learn that special song for you! 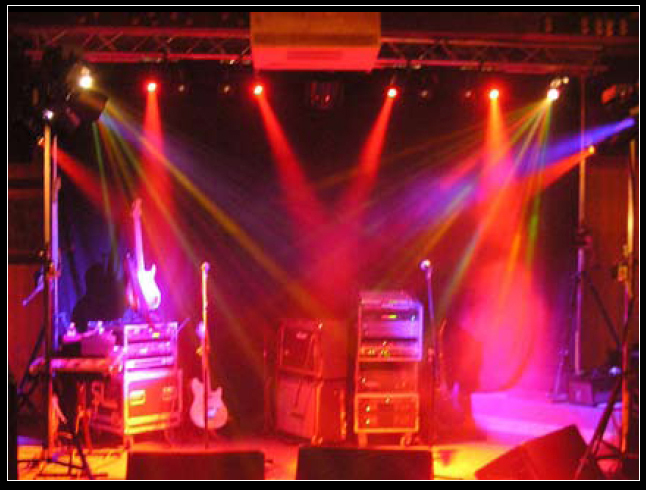 If they are songs we cannot perform, we can even queue up recordings of your special songs through our sound system. I want my guests to dance and to visit! Will the music be TOO LOUD? Absolutely not! We pride ourselves on playing at an appropriate volume, and on knowing how to achieve the best sound we can at a comfortable level. We want to help you provide an enjoyable experience for your guests, and it won’t be if the music is too loud! Your event is not about a band’s ego! We will determine the volume and atmosphere according to your preference, and always defer to you!